Today we will review the Noctua NH-U12S SE-AM4 CPU Cooler, a U-Type Tower CPU Cooler that guarantees compatibility with the highest memory modules. Includes the award – winning NF-F12 fan with PWM speed control and very quiet operation. As indicated by model name itself, it includes the AM4 socket bracket mounting kit and the Noctua NT-H1 thermal compound. How did it perform? Let’s see. 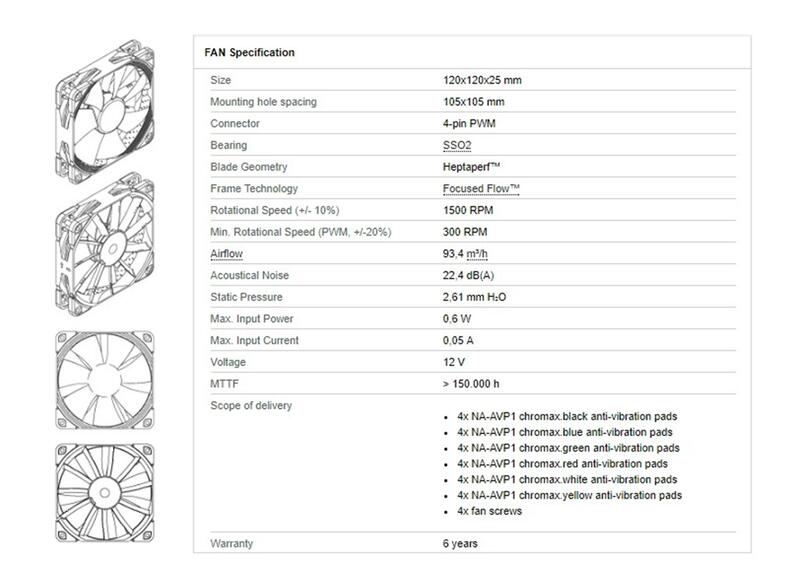 Below you can see the specifications of the fan that comes with the cooler out of the box, however, you can install a second fan for a push/pull configuration. The Noctua NH-U12S SE-AM4 arrives in a thick and heavy cardboard box in the usual white and brown color scheme of the brand. Salient features of the cooler are printed under the model no. A silver stamped sticker is pasted on the right side mentioning that it is a special edition for AMD AM4 socket. The cooler’s model is printed on the left side in vertical layout. Noctua brand name and logo are printed on the bottom right side. The left side of the packing box highlights the salient features along with the diagrams on the main section. The cooler comes with the Noctua’s premium thermal paste NT-H1 and features the legendary mounting mechanism i.e SecuFirm2. The right side of the packing box has the specifications of the cooler and the fan printed on it. Two diagrams are printed on the bottom right side, highlighting the dimensions of the cooler. The backside of the packing box has the cooler’s highlights printed in the 8 different languages. The EAN and the UPC labels are printed on the bottom left side. Now, let’s open the box. You will find an accessories box including a screw driver, thermal paste, a low noise adapter, AMD mounting hardware etc. Inside, the accessories you will find an AMD mounting kit with guide, 1 screwdriver, 2 mounting bars (NM-AMB7), 4 screws (NM-ALS1) and 4 plastic spacers (NM-APS4). It will be necessary to leave the backplate included with the base plate installed and remove the front retention system to screw both guides. In addition to the assembly kits, a screwdriver, 4 anti-vibration rubbers, two rubber strips and two brackets for the installation of a second fan are included. As usual, it includes the thermal compound Noctua NT-H1, a noise reduction adapter cable (LNA) and a sticker with the Noctua logo that we can place on the outside of our chassis. The Noctua NH-U12S SE-AM4 heatsink uses a mono-block design on which we can install up to 2 fans, including a unit of the award – winning Noctua NF-F12 PWM fan. This fan has the dimensions of the 120x120x25mm. The fan has a maximum speed of the 1500 ±10% RPM. With LNA, this speed is 1200 ±10% RPM. Minimum rotational speed is 300 ±20% RPM. Maximum static pressure is 2.11 mmH₂O. With LNA the static pressure is 1.06 mmH₂O. The fan takes the input power of the 0.6W at 0.05Awith the 12V DC. The maximum airflow is 556 CFM. With LNA it is 43.76 CFM. Maximum acoustical noise is 22.4 dBA. With LNA it is 18.6 dBA. The fan has a 4 pin PWM connector. The cable’s length is approximately 205mm. It comes in typical brown color scheme. There are rubber mounts on the mounting holes to prevent the vibration noise. The fan assembly is made very simple thanks to really well designed mounting clips. In addition, thanks to the anti-vibration rubbers in the corners, which will help to reduce the noise on full load. The heatsink consists of 50 aluminum fins that are crossed by 5 nickel-plated copper heatpipes with U-shape. Thanks to its height of 158 mm, it will be compatible with most of the chassis available in the market, while thanks to its width of 45 mm, will not touch the RAM modules even when reaching at 71 cm with the fan installed. There is a hole in the center. It is used to remove the screw on the mounting bar to take the mounting bar off the block. The top side only has the dimensions of 125mmx45mm (WxD). 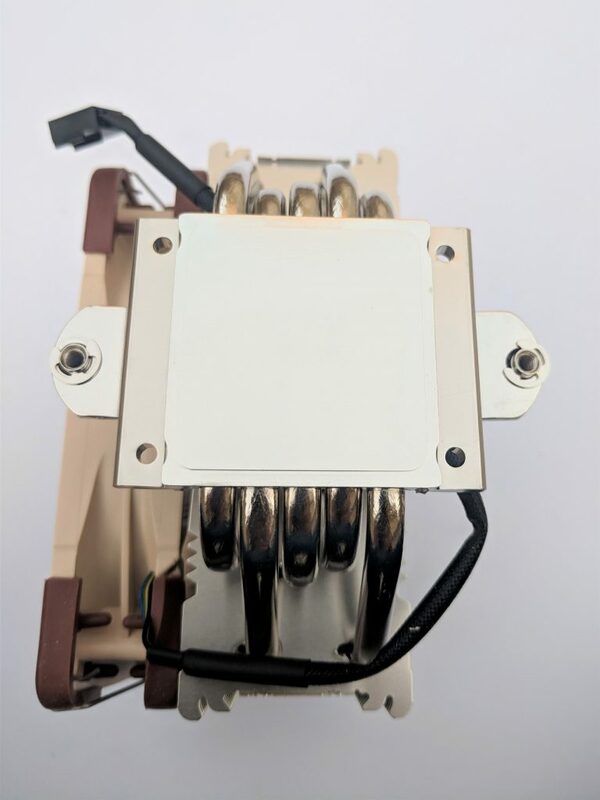 The upper side is crowned by the 10 terminations of the 5 heatpipes, with the Noctua logo in the center. The base of nickel-plated copper presents a semi-polished appearance and on it we find the guide that fixes the dissipator to the screwed mounting kit. If we talk about the base of the cooler, the heatpipes go into the base of the cooler, but they don’t make direct contact with the CPU. This will be taken care of by a large nickel-plated copper base. It is pretty thick and should make good contact with your CPU. Installation is a very simple and easy process. Noctua employs their reworked SecuFirm2 mounting system for the AM4 bracket. It uses the stock AMD motherboard backplate to hold the mounting system for the cooler in place. Firstly, remove the legacy AMD heatsink retention arms but keep the backplate in place. Place the 4 spacers onto the threads of the backplate around the socket. Next, you have to select the appropriate bars to hold the heatsink. 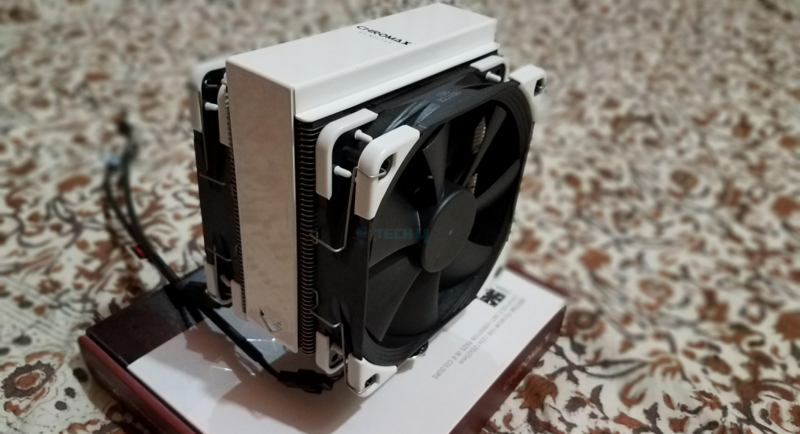 This depends on whether you want to mount the heatsink horizontally or vertically and on the type of heatsink (the mounting method is the for all of Noctua’s offerings for the AM4 socket). We went with the long arms to mount the single tower in the conventional horizontal orientation, pushing the air through and exhausting from the rear fan. Then, place the screws through the threads of the bars and make sure they are in line with the threads of the backplate. Screw in the 4 provided screws. Apply a pea sized grain of the provided thermal paste on your CPU. Now take the heatsink and align the screw points with the protruding points and tighten them down, making sure not to over torque and potentially damaging your CPU. Finally, mount your provided fan with the clips onto the heatsink and plug it into the fan connector. And that’s it. Noctua definitely gets props for implementing such a simple system for mounting a heatsink. The CPU is at stock clocks and voltages. The ambient room temperature was 35c. The system was stressed using the ASUS Realbench utility, tortured tested for 10 minutes with 4GB RAM. HW Monitor was used for observing the temperatures. The 3.7 overclock was achieved by manually changing the CPU core multiplier from 30x to 37x in the BIOS, that gives us 3.7 GHz. Additional voltage was not needed for the overclock. Temperatures are recorded within 2C of margin. The stock fan performs admirably, managing a delta of 3.5C on the standard fan curve and 22C on load. The fan RPM doesn’t exceed 50% on the standard fan curve, as such the allows for a good amount of overhead for overclocking especially when you tweak the fan curve to your liking. At max RPM, we can see the load delta is pushed down significantly from 22C to 18C. Max RPM at all times isn’t recommended as you can diminish the life cycle of the fan. Idle temperature is also pushed down to a mere 1C. Upon Overclocking, the gap between the idle deltas is a bit greater but much closer in the load deltas. The stock profile manages a delta of 33C while the fan at max RPM manages a delta of 31C. This is a very respectable performance at 3.7GHz. This can probably be pushed a bit further, even with a single fan, if you can optimize the air flow in your chassis. Overall, an excellent performance for a single tower cooler, as can be expected of Noctua. Touching on sound, the fan was barely audible, even on full blast. 28 dB is very low. To give you a perspective, human whispering is 30 dB. So you definitely won’t be receiving any noise complaints. Noctua’s NH-U12S SE-AM4 brings their tired and true lineup of heatsink to the AM4 bracket and based on our testing, it performs quite well. Considering how much it costs and what you get for the price, the product is an exceptional value. If one is so inclined to go with a push/pull configuration, its entirely possible with the included extra pair of fan clips. This will allow you to push your cooling even further. The included fan performs nicely, but loses a few points in aesthetics due to Noctua’s signature brown and beige color scheme, though this is subjective. Some people like it, some people hate it. 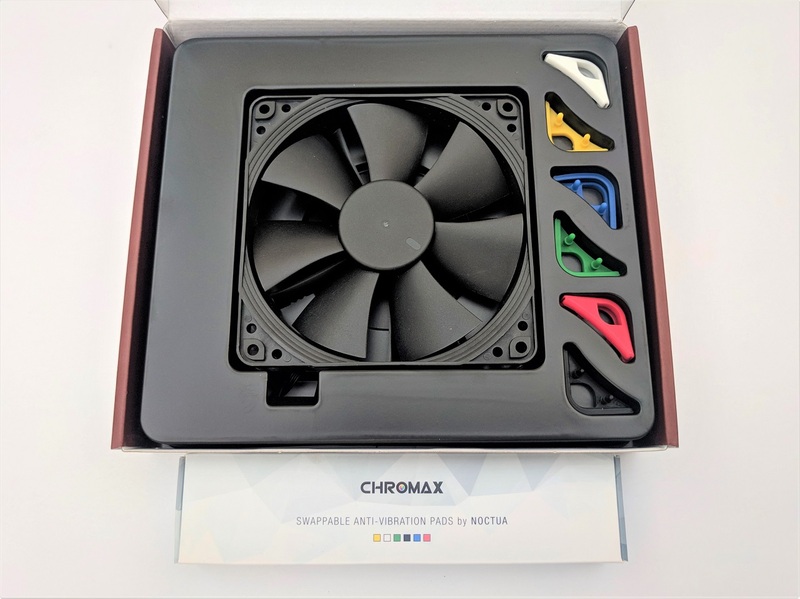 You can customize the look of the fan and heatsink to some extent with Noctua’s chromax line of products to fit your taste. Installation is a breeze and you get all the required tools, even a long screwdriver, right in the box. 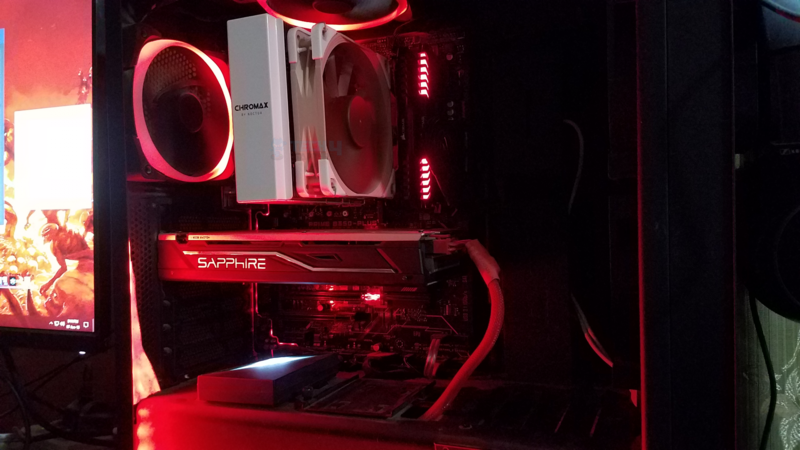 Performance is excellent and you have tons of headroom to overclock even AMD’s 8 core lineup with a problem. 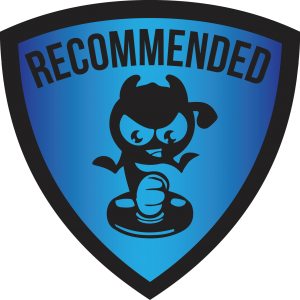 Keeping all this in mind, the Noctua NH-U12S SE-AM4 receives Tech4Gamer’s recommended award. Special thanks to Noctua for this sending their product over for review. 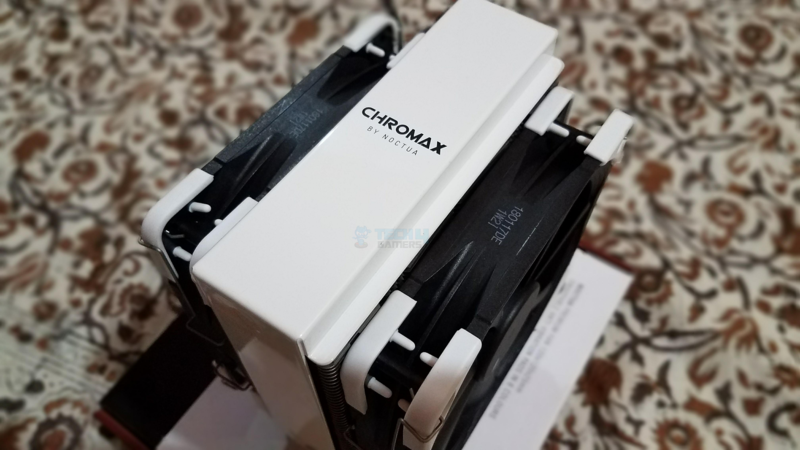 Here are some extra details and pictures of the accessories Noctua provided with the Heatsink, NA-HC2 Chromax.white (heatsink cover), Noctua NA-SAVP1 Chromax Anti-Vibration fan mount set and Noctua NF-F12 PWM chromax.black.swap premium-grade quiet 120mm fans. 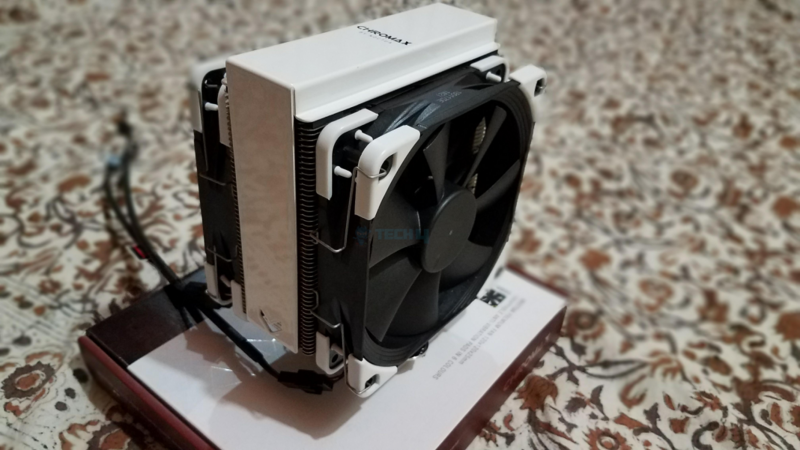 At first we have heatsink cover to give a more pleasing look to heatsink and to perfectly match with the rest of the build, that is something which the users have been requesting a long while. This heatsink cover is perfect fit with the Noctua NH-U12S, NH-U12S TR4-SP3, NH-U12S SE-AM4 coolers. From above gallery you can see that the heatsink cover arrives in a Chromax themed box. In the box you will side Heatsink cover, detailed manual and a silver color steel clip (NA-HCC1) for holding the cover’s base with the heatsink. 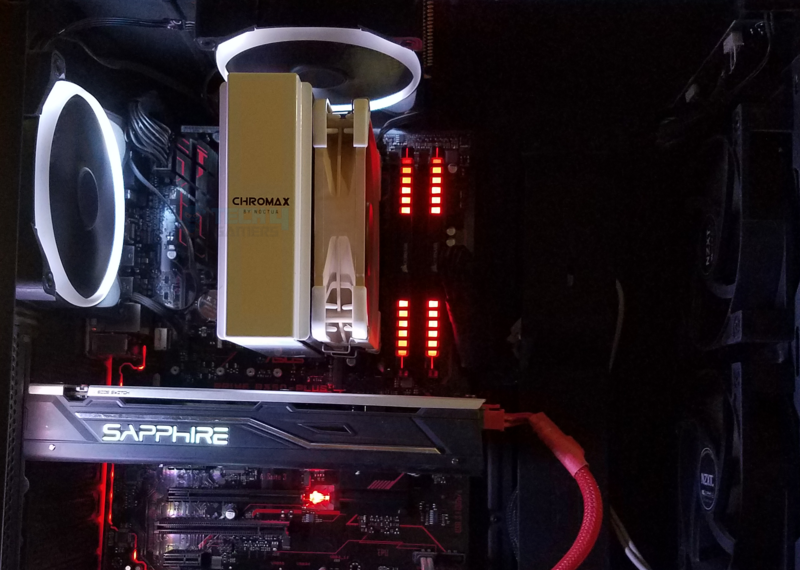 The heatsink cover is made of Aluminum with complete powder covering, the sparkling white shading truly adds the premium white look to the cover. 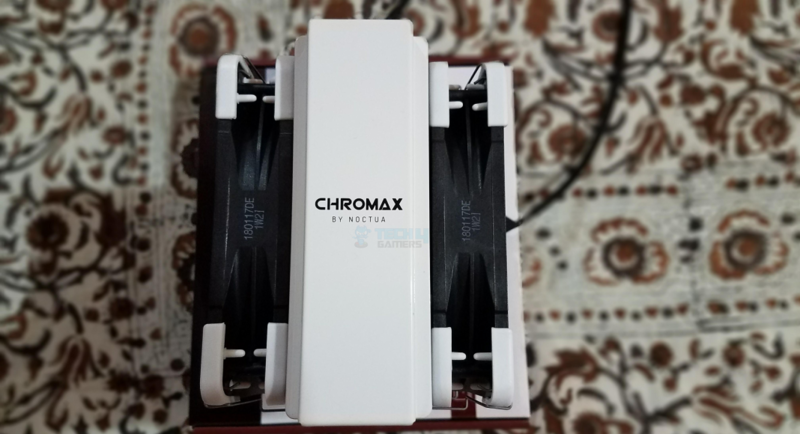 On the front side, CHROMAX By Noctua is printed in black. Each side of the cover has inside rubber mount to avoid scratches to the heatsink in the installation process. 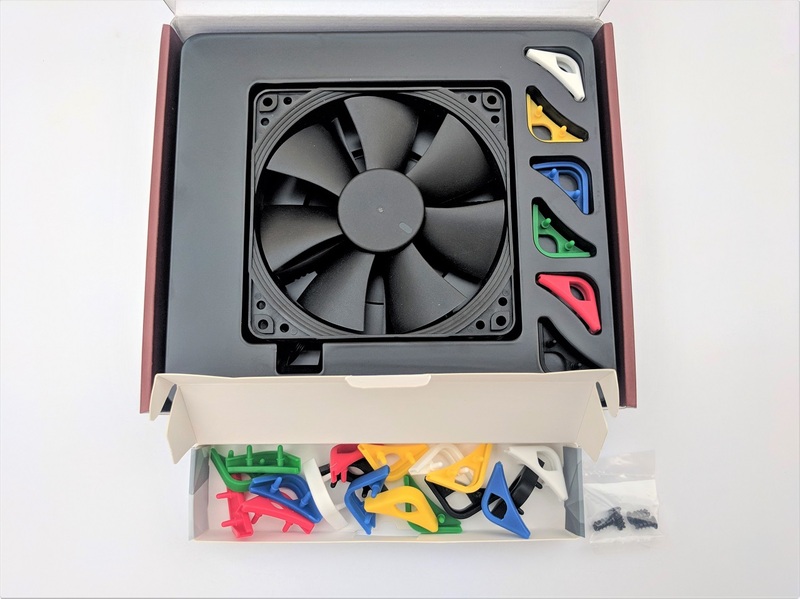 Installation is extremely easy for the heatsink cover, simply slide it over the heatsink fin tower making sure to avoid the fan mounting clips. The magnets inside the cover hold it in place and prevent it from moving about or vibrating. The cover makes the entire cooler much more cleaner and aesthetically pleasing and combined with the CHROMAX fan inserts, you can customize the look of your cooler to make it truly your own. After installation, the cover increases the height of the heatsink by 6mm and the total width by 3mm. So make sure you have enough clearance for the cooler and the Chromax on it. The heatsink cover carries 6 years of warranty. 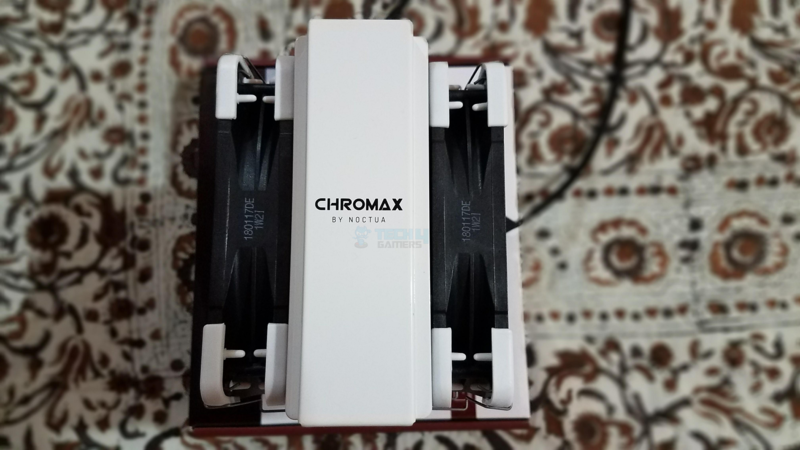 As you can see from the above images, the box of Noctua NA-SAVP1 CHROMAX set is very generous in space and contain 16 pack of Anti-Vibration fan mounts. 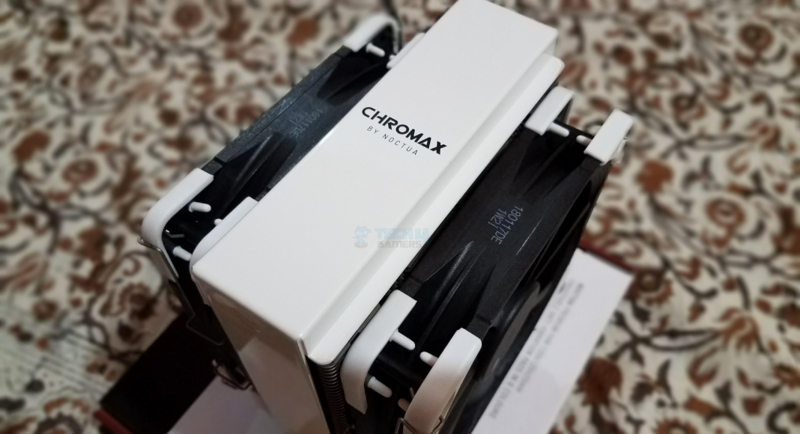 They make a visually striking improvement in the CHROMAX version of NF-F12 fans to match fan with the rest of the build. Apart from the looks these anti-vibration pads also help to cut down on vibration noise. Noctua’s NF-F12 CHROMAX fans are the result of constant feedback from customers to make less ugly fans with the option to customize them but still retaining Noctua’s high quality standards and market leading performance. They’re made out of completely blacked out Fibre-glass reinforced PBT (the non-CHROMAX version were made of Fibre-glass reinforced polyamide) for the fan and the frame for color neutrality. The backside of the frame has cutouts in the stalks which Noctua has termed as Focused Flow technology. 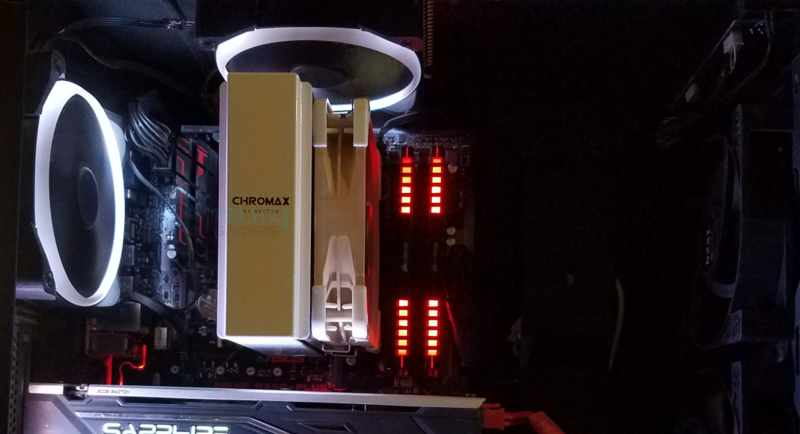 Noctua also includes CHROMAX fan inserts, 4 of 6 different colors to allow you mix and match according to your system’s color theme. Noctua NH-U12S SE-AM4 CPU Cooler with Noctua Heatsink cover, anti-vibration pads and NF-F12 PWM Chromax [Push-Pull] in its all glory! Noctua's NH-U12S SE-AM4 brings their tired and true lineup of heatsink to the AM4 bracket and based on our testing, it performs quite well. Considering how much it costs and what you get for the price, the product is an exceptional value.